This week on the podcast I am bringing you another guest episode! 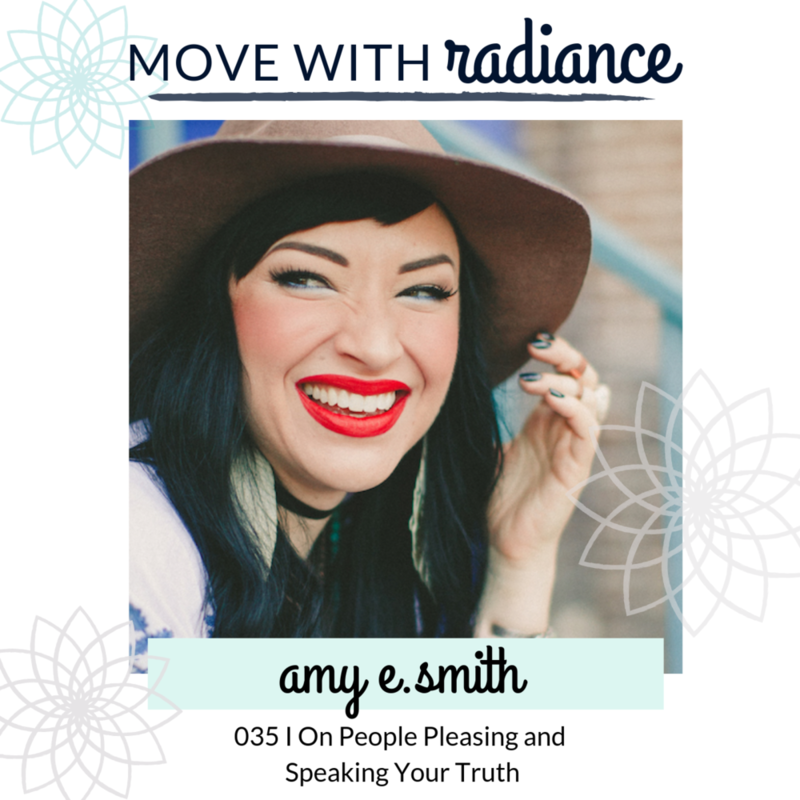 This time with Amy Smith (@thejoyjunkie) to talk all things people pleasing and speaking your truth. In this episode we dig into (you guessed it) people pleasing and what it means, core beliefs and how to shift our worthiness wounds, how to stop playing the when/then game, taking action towards our goals in a healthy way, acceptance and what that means, how to not place worth in the external or in our results, allowing the space to just feel rather than avoiding our emotions, taking emotional responsibility, and more. A little about Amy: Amy E. Smith is a certified confidence coach, masterful speaker, and personal empowerment expert. Founder of TheJoyJunkie.com, Amy uses her roles as coach, writer, podcaster, and speaker to move individuals to a place of radical personal empowerment and self-love. With acute focus on helping people “find their voice”, she is highly sought after for her uncommon style of irreverence, wisdom, and humor and has been a featured expert on Fox 5 San Diego and YourTango.com.